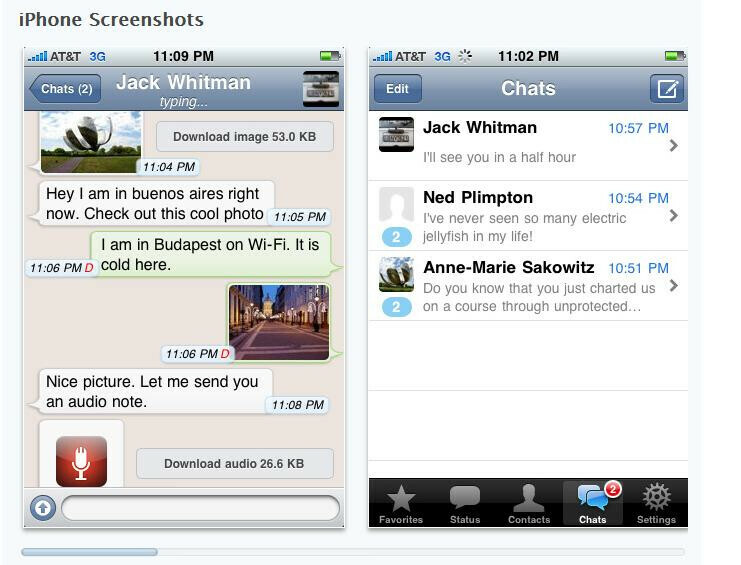 BlackBerry Messenger allows 'Berry users to communicate amongst each other exchanging news, pictures, audio and video. RIM has closed BBM off to other devices, but a third party app is now available to allow iPhone users to communicate with BlackBerry owners in the same style as BBM. Called "WhatsApp Messenger", a 30 day free trial can be yours by clicking the link. Not every 'Berry model is supported, so you should check out the link to see if your 'Berry will work. After the trial ends, the cost for the app is 99 cents from the App Store. In case you were wondering, the developer is working on versions for the Android and Symbian platforms.